Sawyer knows that Regan's never forgiven him for breaking her heart—but despite his reputation as a low-class swamp rat, he’d never hurt the woman who still secretly drives him crazy with desire. Someone in Cottonbloom has it out for her, though, and Sawyer intends to watch her back…and the rest of her too, if she can ever let go of her distrust. But will a common enemy be enough to unite them—and finally fulfill the promises they made one passionate night under the stars? TILL I KISSED YOU is a second chance romance in the Deep South. It hints of Romeo and Juliet when high school sweethearts find themselves on opposite sides of the river, promoting their own town's festival. Once they discover someone is trying to sabotage their efforts, they unite as political allies - and lovers - to realize their dreams. 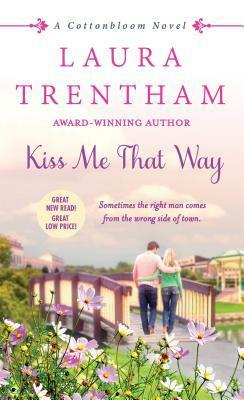 Trentham delivers a nostalgic look at how a high school sweethearts can mature into responsible adults, balancing their commitments to their families, communities, and ultimately each other. Kudos to Trentham for giving Regan a backbone to stand up to an unexpected bully and pursue her own dreams. I kept thinking of the REO Speedwagon's I CAN'T FIGHT THIS FEELING ANYMORE - a favorite tune from my college days - as Regan and Sawyer allowed themselves to love each other, no matter who interferes in their relationship. 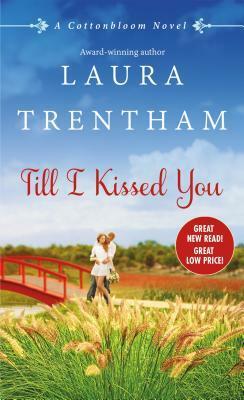 TILL I KISSED YOU kept my interest throughout the story - I did not want it to end. Note I read TILL I KISSED YOU without reading the first two books in the series. Characters from previous books contribute to the plot but did not distract from the love story between Regan and Sawyer. Recommended read for fans of reunited lovers, Southern charm, and food festivals. I received an ARC from the St. Martin's Press for an honest review. 1. Leave a comments about tomatoes and/or crawfish - how do you like them? I love fresh tomatoes with a little salt. I also enjoy crawfish although it can be a lot of work to eat 'em! 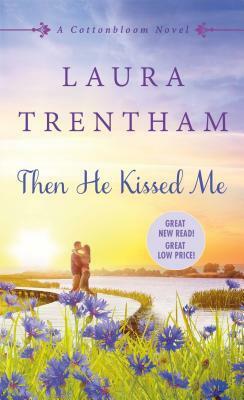 Learn more about Laura and her books at lauratrentham.com. I do love tomatoes. They are delicious cut in half & grilled with a touch of salt & pepper. Tomatoes are great, love to roast them in the oven. Brings out their sweetness. I've never had crawfish but I do love tomatoes with salt. I'm a vegetarian so I stick with the tomatoes. Love to eat them on brown bread with fresh basil from my garden and some seasalt flakes. I love to make my own version of a Caperese salad. I love tomatoes in season - blts, egg salad with tomato, just about any sandwich. Also love with mozzarella, basil, red onion, olive oil and some balsamic. I like salt on my tomatoes as well. Have only eaten crawfish once. I only like tomatoes if they are in sauce or ketchup! I haven't had crawfish. I love tomatoes. I'll make them sliced with a drizzle of oil, gsrlic salt and oregano on bread. Or quarter a tomatoe with red onion, garlic and olive oil. So good once flavors marinate and dip Italian bread. I love a cheese and tomato sandwich, grilled tomatoes on toast and I also like fried tomatoes. I love fresh tomatoes - My favorite is a sandwich - toasted bread and mayo. The one time I had fresh crawfish was when we visited New Orleans - they were great but you're right, a lot of work lol. I've never had a crawfish. I love fresh tomatoes! In the summer nothing better than a side of sliced tomatoes with just salt & pepper - or on a sandwich with mayo. Haven't tried crawfish, but like tomatoes no matter how they're prepared. Stewed, puree or in a salad. I love fresh tomatoes with salt and pepper--I have some from my little garden. Don't have much experience with crawdads. I do not eat either of those. Thy do not agree with me. I love tomatoes in most any form. Plain with salt is good. I love to cook with them. 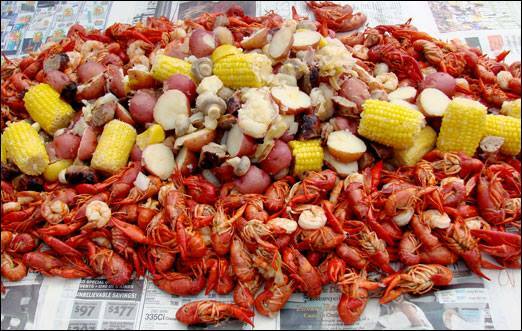 As for crawfish, even though I have been to Louisiana, I have never had crawfish. They do have them and eat them in the North, but not in such numbers. I would rather go to Maine and eat lobster. I love tomatoes, especially on sandwiches and in salads. I like my tomatoes in a salad. I have never tried crawfish, and I don't like tomatoes. I should try crawfish sometime. love crwfish but haven't had them in years. love tomatoes many ways.